Loyola has become a national brand, led by a pragmatic, genuine, and unassuming head coach. Porter Moser is known for doing things the right way and encouraging his players to “buy in to the culture of the program” that stresses building character and encourages good sportsmanship, teamwork, and respect for the process. The over-arching national narrative of the 2017–18 NCAA men’s basketball tournament became the valiant and totally unexpected run made by the Loyola Ramblers to the Final Four. What a refreshing Cinderella Run that fans nationwide appreciated after a college basketball season overloaded with negative headlines. The fabric of the team was woven from the initial threads of the 1963 NCAA championship Loyola squad that not only captured a national title, but also made historic strides for college basketball and the nation with regard to civil rights and racial integration. 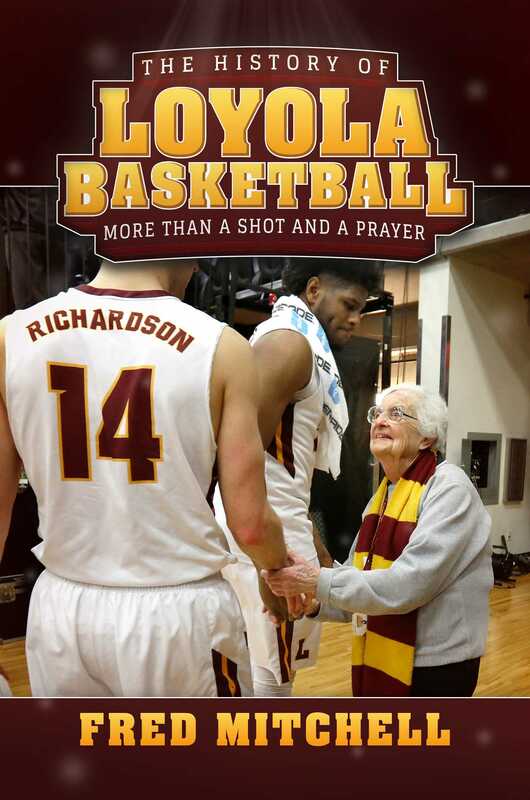 While the nation was admiring the grit, maturity, and determination of Loyola’s relatively unheralded players, they also fell in love with the sincerity of Sister Jean—the ninety-nine-year-old team chaplain and pop culture sensation now featured on bobbleheads and memes across the country. This unique and colorful story is properly told through the voices of those who actually took part in the joyful games, without shying away from the painful incidents that represent a significant part of our country’s history.